Since the release of the bookdown package in 2016, there have been a large number of books written and published with bookdown. Currently there are about 200 books (including tutorials and notes) listed on bookdown.org alone! We have also heard about other applications of bookdown based on custom templates (e.g., dissertations). As popular as bookdown is becoming, especially with teachers, researchers, and students, we know it can take a lot of time to tailor bookdown to meet the special typesetting requirements of your institution or publisher. As it is today, future graduate students will have to spend many hours reinventing a thesis template, instead of focusing on writing content in R Markdown! Fortunately, we are sure that there are already elegant and reusable bookdown applications, which would greatly benefit future users. With that in mind, we are happy to announce the first contest to recognize outstanding bookdown applications! Publicly and freely accessible (both source documents and the output). If the full source and output cannot be shared publicly, we expect at least a full demo that can be shared (the demo could contain only placeholder content). Not tightly tied to a particular output format, which means you should use as fewer raw LaTeX commands or HTML tags as possible in the body of the book (using the includes options is totally fine, e.g., including custom LaTeX content in the preamble). An exception can be made for dissertations, since they are typically in the PDF format. Has some minimal examples or clear instructions for other users to easily create similar applications. Uses new output formats based on bookdown’s built-in output formats (such as bookdown::html_book or bookdown::pdf_document2). Has creative and elegant styling for HTML and/or PDF output based on either the default templates in bookdown or completely new custom templates. We’d also like to see non-English applications, such as books written in CJK (Chinese, Japanese, Korean), right-to-left, or other languages, since there are additional challenges in typesetting with these languages. Note that the applications do not have to be technical books or even books at all. They could be novels, diaries, collections of poems/essays, course notes, or data analysis reports. One signed copy of “bookdown: Authoring Books and Technical Documents with R Markdown”. All hex/RStudio stickers we can find. Any number of RStudio t-shirts and mugs (within $200). The names and work of all winners will be highlighted in a gallery on the bookdown.org website and we will announce them on RStudio’s social platforms, including community.rstudio.com (unless the winner prefers not to be mentioned). Of course, the main reward is knowing that you’ve helped future writers! To participate this contest, please follow the link http://rstd.io/bookdown-contest to create a new post in RStudio Community (you will be asked to sign up if you don’t have an account). 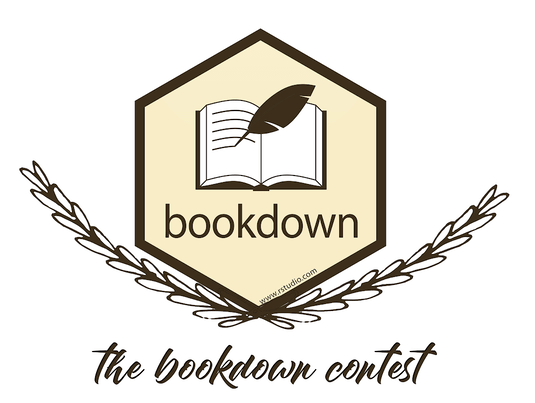 The post title should start with “Bookdown contest submission:“, followed by a short title to describe your application (e.g., “a PhD thesis template for Iowa State”). The post may describe features and highlights of the application, include screenshots and links to live examples and source repositories, and briefly explain key technical details (how the customization or extension was achieved). There is no limit on the number of entries one participant can submit. Please submit as many as you wish! The deadline for the submission is October 1st, 2018. You are welcome to either submit your existing bookdown applications (even like a PhD thesis you wrote two years ago), or create one in two months! We will announce winners and their submissions in this blog, RStudio Community, and also on Twitter before Oct 15th, 2018. I (Yihui) will be the main judge this year. Winners of this year will be invited to serve as judges next year. I’ll consider both the above criteria and the feedback/reaction of other users in the submission posts in RStudio Community (such as the number of likes that a post receives).